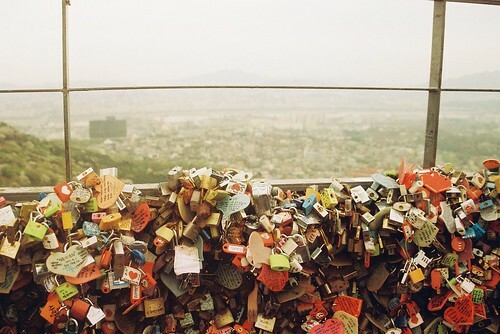 green tea fields: i heart namsan. 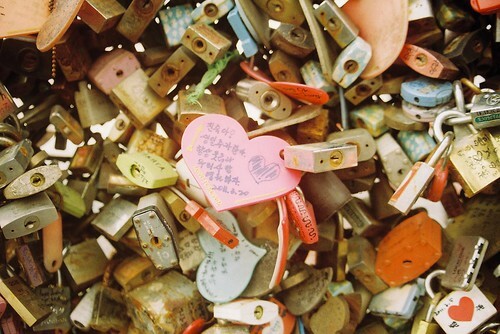 at the open viewing platform area at namsam, lovers "lock" their love onto the wire barricades. 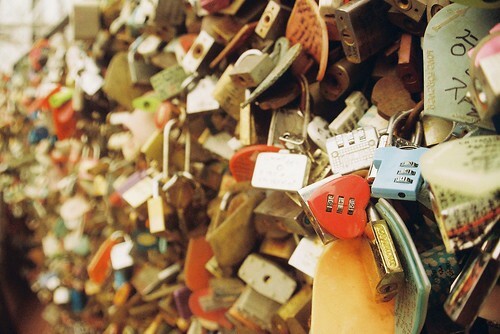 it's amazing to see the amount of locks, some of them are old and grungy, some of them brand new and shiny. there are all sorts of locks too and it was incredibly fun to poke around trying to find the most unique ones. one of the coolest ones was a set of bicycle chains! 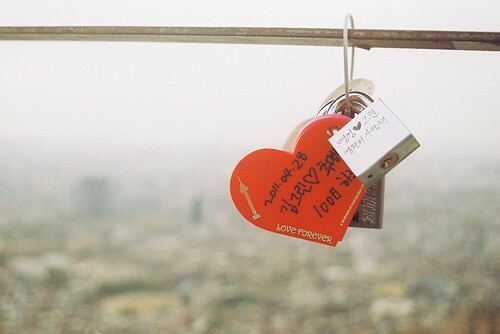 i always thought that only namsan tower had this unique feature but it seems like that the River Seine in Paris has lovers "locking" their love on the bridge too! I found out when I saw Rhianne's photos from her recent trip to Paris. Does anyone else know any other locations that features this as well? I would love to know. and with this post, i finally get to link to Anna'a Much Love Monday post! it's been way too long since i joined in the fun but i haven't had a good photograph in ages! so yes, this makes me really happy this monday!